2)music experience (with & without headpiece). But I have to share some things that I experienced when using it for few weeks.. Battery life is not that good. Yet I guess it is usual for most of the android handsets. But the biggest issue I had is that I had to install and uninstall apps to keep it going :S..When the memory gets low (less than 20mbs), it will stop receiving text messages! AND THATS REALLY SOOO STUPID! And I didnt have enough space to install games. I didnt want to root the phone bcoz that will make ma warranty invalid..Yet even after I updated the phone (there were 170 mbs free in the phone memry) I tried to install NFS Shift which is only bout 38 mbs..Bt it said that I cannot install it because I didnt have enough space! sounded ridiculous! These are my really honest opinions..I dnt wanna criticize the fone or anything! :)..so consider these things before going for x8 as well..
finally, I would lika say that LG optimus One or Samsung galaxy 3 would be a far better choice than X8..They almost have the same price tag yet they have multitouch, android 2.2 (Optimus One has 2.3) and bigger screen and stuff!.. 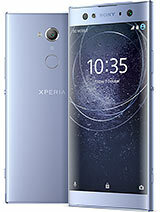 i've bought my x8 last month.this is my 1st time with android phone.i wonder how & what can i do with android.then...i'm goin to explore how it's work..so great..awesome.when i put power amp (from android market)so unexpected,extremely incredible..
which one is best among these andros, please help me. guys what is the function of the task killer..??? Azer, 04 Apr 2011To those having great dilemmas on buying this phone or an android phone in this range, you can... morehow about the video call? i mean use secondary cmera? To those having great dilemmas on buying this phone or an android phone in this range, you can read this! Hello guys, I just got the phone 3 days ago. It's a very nice phone. I have been an se fan since my last phone, naite, and this is my first smartphone. I'm very happy that I made the very right decision! It's a very nice, fun and entertaining phone! My choices were: galaxy 5, galaxy mini, lg optimus one. Why did I choose x8? -I trust SE, that's kinda biased. -vs. galaxy 5 and galaxy mini, it has hvga screen res, it's kinda a big deal to me since it affects a lot about your market application choice and browsing experience. Hvga is a hundred times better! -vs. lg optimus one, they say LG has screen issues, I don't want to risk my gaming experiences in Android with that. -Really fluid and fast. Make sure you install task killer to efficiently use your RAM easily! No lag whatsoever. Just perfect UI experience, and I love the ui XD. -Next thing, the first day I got the phone I already installed eclair into it(2.1) --- Just great! So many additional features! Live wallpapers, updated market and pre-installed apps, office suite!, etc. etc., and no frills! No problem at all! By the way, I updated through usb, (I downloaded software updater from SE site.) I thought updating over the air is kinda risky especially with unstable network, so no problem at all! 2.1 is perfect with my x8! -600 Mhz, not the most powerful, with games, still very fun and playable with almost no lag but of course it's not the fastest around, but FLUID FAST with phone ui! -Web browsing, 3G or WiFi, no problem! Very usable! Fast and no lags, tabbed sites useful and many features. -Telephony/Texting/Mail/etc. - Does the job with no problem! And timescape adds some fun and comfort too! -Music/Radio, I believe naite was clearer with headphone quality, but it's still very loud, and also gives nice music experience! -Gaming- great! Make sure you kill unused apps so you get fast and fun gaming! Android market surely gives you a lot of nice game choices. Camera- 3mp, okay. XD but it's got no AF nor flash, nothing special, and I don't use camera that much. Video- Great! vga@30fps really crisp and high quality! -Eclair doesn't allow me to install many apps in the phone and the small/mediocre phone memory doesn't help either. -Battery is a big pain, I have to charge it everyday because I use so many features on the phone everytime. Anonymous, 04 Apr 2011handle ur Samsung Galaxy Ace very carefully when compared to x8 are'nt else u will suffer alot mr.Hi! What do you mean that i will suffer a lot with the Samsung Galaxy Ace. Why my phone charge is over after 3 hours? 3 hours working with internet , youtub...? the phone seeker , 24 Mar 2011okay then,, so in your experience no hanging or freezing happening? cause if not i'll buy this... moreyo.. sorry have been busy.. yup.. this phone is perfect for its pricing.. my set there's no hanging and frezing.. no worry about that.. if you got no buget wise.. u also can go for arc.. i just got my arc on 31/3/2011..